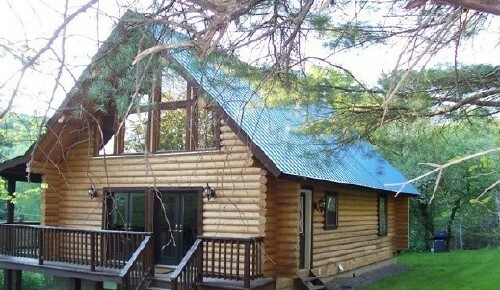 Cripple Creek Cabin is a very private and cozy modern log house with three bedrooms, a fully stocked kitchen and a bath and a half with a tub and shower. 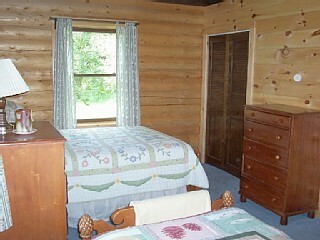 You will notice that the entire Upstate NY Log Cabin Rental is fully furnished from the firewood right down to the linens! There is also a washer and dryer for modern convenience. For those nice and lazy days there is an exquisite wrap-around porch for you to pull up a chair and admire the great outdoors. 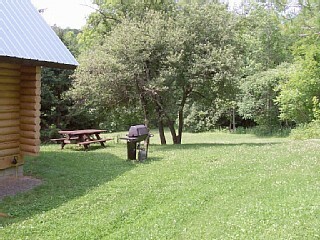 For the explorer in all of us, Cripple Creek Cabin is conveniently located close to the New Jersey-New York Longpath Trail and NYS Snowmobile trail S71. 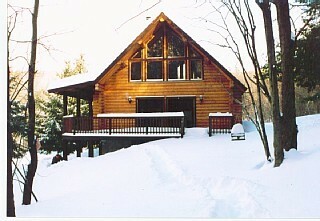 The Upstate New York Log Cabin Rental is available year-round, a perfect escape for anyone! 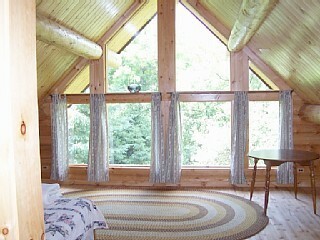 Enjoy this peaceful setting at your doorstep when you visit our fully furnished, modern log cabin located in historic Schoharie County. 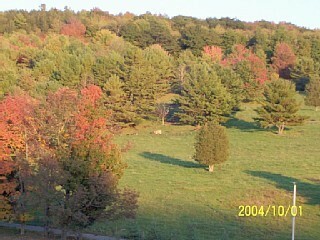 We are on NYS snowmobile routes and hiking trails. 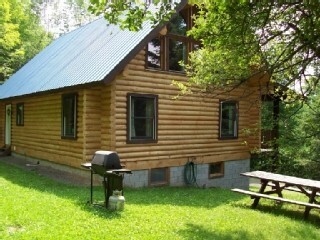 The cabin is on a 500 acre farm on a quiet country road and only four miles to the village. 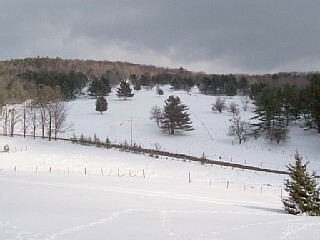 Minutes from Partridge Run for fishing and hunting, Minekill State Park, the Old Stone Fort, the Iriquois Museum, Howe Caverns, Thatcher Park, Cobleskill Golf Course, Cooperstown, Gobbler's Knob Fun Park, The Zoom Flume waterslide park and much more. 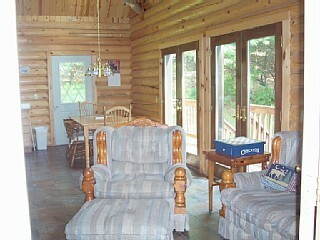 There is a wonderful large porch and yard at the cabin to just totally relax and regain your inner peace. 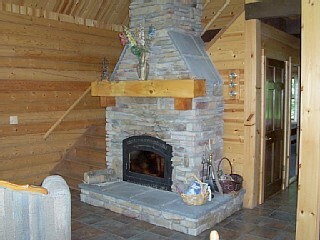 Our cabin was built exclusively for your comfort and convenience and has a beautiful fireplace for those long evenings and a whirlpool tub in the bathroom to bubble away your cares. 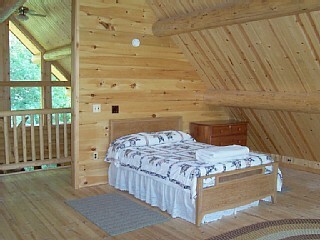 Guests are responsible for the care and maintenance of the cabin during their stay. No maid service is available. Bring your own food and personal items. We accept most credit/debit cards, PayPal, personal checks or cash. attractions to interest all visitors. 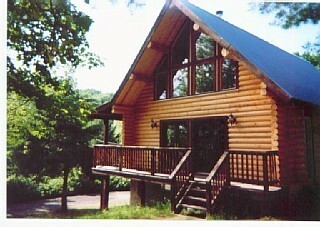 from the cabin and Hunter Mountain is only 39 miles from here. Both areas are wonderful for skiing. 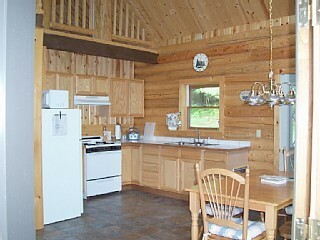 Amenities Our cabin was built exclusively for your comfort and convenience and has a beautiful fireplace for those long evenings and a whirlpool tub in the bathroom to bubble away your cares. 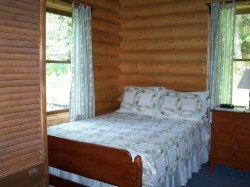 The cabin offers all of the amenities you'll need for a wonderful, relaxing vacation.